We revere the modular synthesizers of the past, but that ignores important innovations both in how modules are designed and how people play. 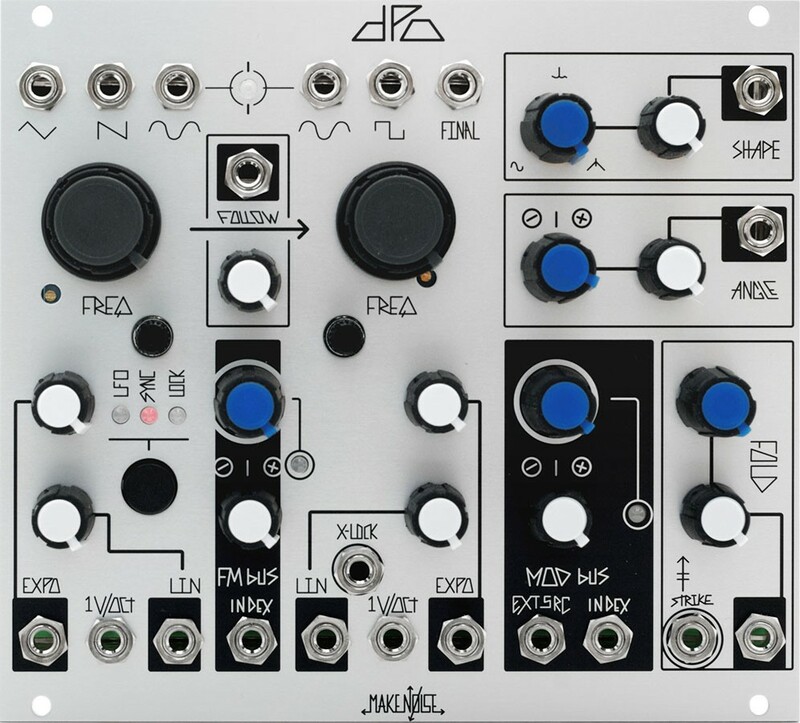 Apart from the fact that Eurorack is quite a lot slimmer, lighter, and cheaper than its predecessors, we have vastly expanded the range of what modules do in ways that lend themselves to live performances. That’s not to say it’s for everyone – a modular performance still involves a lot of pre-patching for people, and there’s clearly something to be said for computers and standalone gear. But that’s perhaps partly the point: the modular solution can stand toe-to-toe with performances using these other paradigms. Or, to put it another way: you no longer need fear a long, noodle-y rambling performance if you see a modular onstage. (Not that there’s anything wrong with that.) If you do, you can blame the artist, not the tools. Continuing our ongoing look at live electronic performance, then, here are three performances that have popped into my view recently, among many, many others (and a week of such performances at Berlin’s Superbooth). One Colin Benders is livestreaming Eurorack-only performances, and posting the results to a YouTube channel – kindly sent in to us by reader Jan Klooster. Colin, the Utrecht, Netherlands based artist, is better known as Kyteman. The ADHD-diagnosed, trumpet-playing musician and composer assembled an all-acoustic ensemble covering hip-hop and other genres. That instrumentation had no Eurorack whatsoever – think instead eighteen musicians, opera singers, and a choir. Next up, Siebe Janssen, whose gorgeous performance I found via Tony Rolando of MakeNoise. Siebe is no modular purist – follow his YouTube channel for a bit of everything, from computer to keyboard synth. Here, he combines a modular rig with the Elektron Analog RYTM and a Moog Sub Phatty. The Elektron itself is worth highlighting – you’ll see lots of modular users employing Elektron’s gear as a workable stand-in for a computer as far as flexibility (without the awkward laptop intruding on the rig). Also, at the heart of the modular rig is MakeNoise’s DPO module, a lovely dual oscillator with lots of shaping options. Lastly, but one of my personal favorites, Blush Response has been a rapidly ascending star of the modular scene. He’s a great embodiment of the post-punk, retro-EBM electronic phenomena, from live techno to more experimental outings (and, occasionally, rock-tinged stuff with vocals), releasing on labels like the up-and-coming aufnahme + wiedergabe. I’ve talked about his work in the context of live techno generally (not necessarily concerned with whether something is modular or not), and he’s talked to us and KOMA Elektronik about technique, including how he integrates Elektron gear with his setup. Seen live electronic performances that inspire you? Modular? Tiny machines? 1-bit instruments? Circuit-bent toys? We like them all; let us know about them.